Ryne Inman's fourth strikeout of the game on Sunday afternoon set a new franchise record for strikeouts in a single season. Clinton, IA (August 26, 2018) - Two home runs by Matt Sanders was all the offense for the Clinton LumberKings in a 3-2 loss on Sunday afternoon at Ashford University Field. The LumberKings (27-35, 66-67) struck out nine Timber Rattlers (33-30, 64-68) to set a new record for strikeouts in a single season, passing the 1987 Clinton Giants mark. Sanders started the scoring for Clinton in the bottom of the first. With one out in the inning, and on just the fourth pitch thrown by Wisconsin starter Nelson Hernandez, Sanders launched a solo home run to left to give Clinton a 1-0 lead. The Timber Rattlers answered the run in the top of the third with a two-out double by Tristen Lutz that scored Gabriel Garcia to tie the game at one. Ryne Inman started for Clinton and was sharp over his five innings of work. He struck out Chad McClanahan to open the second inning to tie the 1987 Clinton Giants strikeout mark and wasted no time in setting a new franchise record by striking out the very next batter, Gilbert Lara. The ball was then removed from play and authenticated by LumberKings staff. The game remained tied at one until the top of the ninth when Wisconsin took their first lead of the game on a solo home run by Eddie Silva off Clinton reliever Marvin Gorgas. The home run was his fourth of the season, second of the series, and third of the year against LumberKings pitching. In the bottom of the ninth, Sanders slugged his second home run of the afternoon on the first pitch thrown by Timber Rattlers reliever Clayton Andrews. The home run was his third of the season and his first multi-home run game of his professional career. Wisconsin broke the 2-2 tie in the top of the tenth; scoring the free base runner to start the inning, as per Minor League Baseball extra inning rule, on Gorgas (6-4) second wild pitch of the frame. Andrews (6-0) stayed on to work the bottom of the 10th inning for Wisconsin. Following a hit-by-pitch and intentional walk, the LumberKings loaded the bases with one out but failed to score a run as Andrews struck out pinch hitter Juan Camacho and retied Billy Cooke on a ground out to short to end the game. The LumberKings will meet Wisconsin Timber Rattlers for the series finale of the four-game set on Monday night. 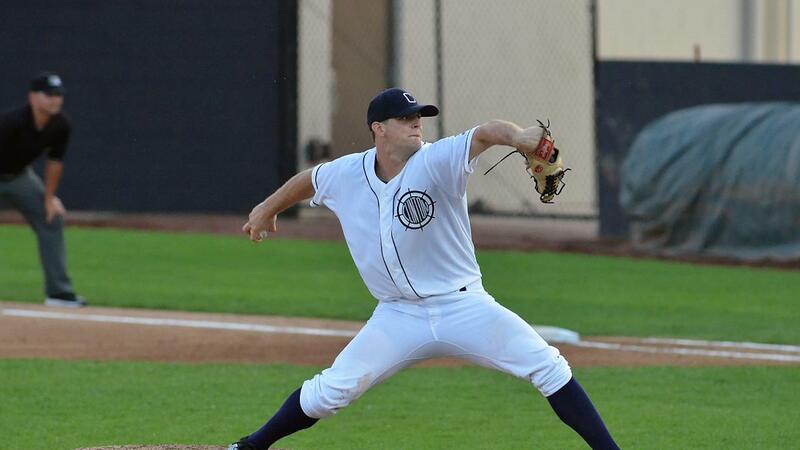 Clinton will throw right-hander Clay Chandler (8-3, 3.86) while the Timber Rattlers will counter with righty Zach Davies (0-0, 5.40) a Major League who is currently rehabbing an injury. Game time is slated for 6:30 PM. Fans looking to listen to the game can hear Erik Oas on the call on 100.3 FM WCCI and online at lumberkings.com via the tunein radio ap at 6:15 PM with the pregame show.